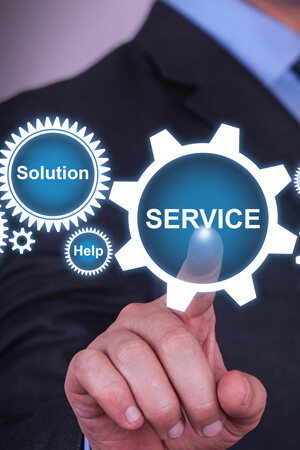 On Saturday, April 1, 2017—after months of preparation—the IT Service Desk will begin implementation of a plan to improve customers’ support experience. In particular, the IT Service Desk will be better able to serve the NIU community during the times they are most needed. Customers will experience lower call wait times, speedier resolution of issues and expanded self-service capabilities through the IT Self-Service Portal. The IT Service Desk will now have more staff available during the primary University business hours of 7 a.m. to 10 p.m. Monday through Friday. They will accomplish this by reallocating Service Desk shifts that previously covered low customer demand times of late nights, weekends and holidays. Beginning April 1, customers who call the IT Service Desk outside of the new business hours will hear a message informing them that the IT Service Desk is currently closed and allowing them to report critical issues with Blackboard, MyNIU, OnBase, Email, the Network or other campus-wide business applications and services. Customers will also be encouraged to access 24-hour support by logging in to the online Self-Service Portal. Customers who make a request or report an issue via the self-service portal receive an immediate acknowledgement of their submission with a unique ticket number for easy reference. The IT Service Desk encourages their customers to join the growing number of students, faculty and staff who rely upon it.niu.edu to find answers to a wide array of questions and topics.